Remember, when Android Pie was introduced, Google also announced a unique feature. This unique feature will be run with Android Pie called can help users monitor and control their addiction effects with smartphones. This feature is called Digital Wellbeing, and with this feature users can also see how they use their mobile phones and set the schedule for smartphone usage. After releasing Android v9.0 Pie, the only handset that supports the new feature is Google Pixel, but this has changed now. The official beta version is now available for Nokia 7 Plus units (based on Android Pie), revealing other facts. It appears that the APK Digital Wellbeing feature is already available for smart phones running special ROMs, and Nokia 7 Plus smartphones are the first to support this feature through official channels from Google. Because this is still beta, users will likely experience some problems or inconsistencies in the Digital Wellbeing application that will run. However, software updates that will be launched in the near future will correct the problem. 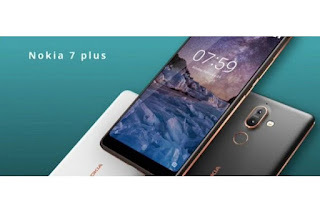 If you have a Nokia 7 Plus smartphone unit and run the Android 9.0 Pie operating system, you can directly download the Digital Wellbeing application from Google PlayStore. 0 Response to "Nokia 7 Plus Will Be the First Non-Google Phone to Features This Unique"